After a frustrating 18 months due to injury, former World No. 10 Ernests Gulbis is more motivated than ever after dropping to No. 589 and is ready to take on Novak Djokovic in the Wimbledon third round. Ernests Gulbis knocked out Juan Martin del Potro 6-4 6-4 7-6(3) and advanced to the third round where he will face Novak Djokovic. 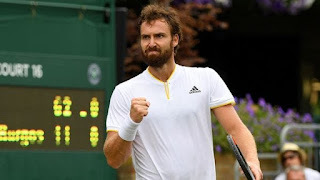 Gulbis has struggled with wrist and shoulder injuries since reaching the 2014 French Open semi-finals, losing to Djokovic, and dropped to 589 in the world rankings. Arriving at Wimbledon on a protected ranking of 99, Gulbis had won only two matches all year at any level. Ernests Gulbis beat Jo-Wilfried Tsonga 7-6 (5), 6-4 to win the Open 13 title on Sunday. Gulbis beat France's two best players in straight sets on his way to the title, having eliminated the top-seeded Richard Gasquet 6-3, 6-2 in the semifinals. "It's a really nice record for me. Five-nil is really good. I remember when I used to play Futures and Challengers, I think I lost maybe one or two finals," Gulbis said. "When I get into finals I really have good form and good confidence and play my best tennis." "My long-term goal in tennis isn't to be Top 20. It's to be No. 1," Gulbis said. "Anything less than that wouldn't make me fully satisfied. I don't want to get to 30 years old, look back on my career and say I didn't make something of it. Everybody's looking for satisfaction in life." Q. When we see you playing like that, we don't understand why you didn't win more matches the last 10 or 15 months. But you must know why. ERNESTS GULBIS: I have been really working hard last month with the new coach, in a new place. I did good preparation here the week before. That's the result, you know. I really enjoy working with my new coach, Gunther Bresnik. He's based in Austria. First time I came to him and his academy I asked him to come to Paris and then Wimbledon as well. It's really been good. He really helped me a lot. Q. How do you explain since 2008 when you got to the quarters of Roland Garros your results in the Grand Slams? You just really haven't been there at all. John Isner defeated Ryan Sweeting 6-3, 6-4to reach the quarter-finals at the Delray Beach International Tennis Championships. Isner will next face Bernard Tomic, who scored a 6-1, 7-5 win over Tim Smyczek. Ernests Gulbis advanced earlier Wednesday, defeating Steve Darcis 6-7(6), 6-1, 6-3. Marinko Matosevic rallied for a 4-6, 6-1, 6-3 win over Alex Bogomolov Jr.
Ernests Gulbis earned a reputation for enjoying the nightlife, like the one Marat Safin had during his career, but it looks like now he is ready to move on from that life to finally be 100% into his tennis career. Today it was his 23rd birthday, but his only celebration was his 62 64 64 win over Mikhail Youzhny in the first round of the U.S. Open. Gulbis said he was going to try to go to bed early. 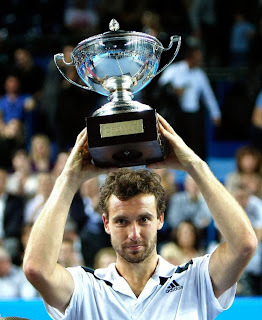 Ernests Gulbis upset Mardy Fish 5-7, 6-4, 6-4 to win the 2011 Farmers Classic title in Los Angeles. Gulbis won $113,000 in prize money, he will move from No. 84 to No. 57 in the ATP rankings. Fis had more aces than Gulbis (14-10) and fewer unforced errors, but tired in the third set on a fairly hot day, losing pace on his serve and allowing Gulbis to take charge. Gulbis went ahead 5-1 in the third set, but Fish got one break back and rallied to 5-4. Gulbis used back-to-back drop shots to erase a break point and to get to match point. After his winner landed, Gulbis pumped his fist and flashed the peace sign to a loud group of his fans in the corner of the stadium. Ernests Gulbis beat Juan Martin del Potro 62 64 to reach the semi-finals of the Farmers' Classic in Los Angeles. Gulbis broke del Potro in the first game and again in the fifth as he took the opening set with ease. Del Potro broke first in the second set to go up 3-1 but was broken back in the next game. "It was very difficult," said del Potro, who never looked comfortable on court. "I got frustrated in the second set when I broke his serve but he broke me back. He was playing with a lot of confidence and took his chances. "When you play like I did against a player like him, you lose." "I just need to keep working on my game, I don't know any other way," del Potro said. "But I'm still happy with my level. "I'm enjoying playing this season, I did well on clay and the grass." Gulbis is trying to get his season back on track. The Latvian rose as high as 21 in the world in February, but has fallen to 84th after a string of lackluster results. "This is probably one of the most important wins of my career," he said. Gulbis next plays against Alex Bogomolov, who upset Thomaz Bellucci 1-6, 6-4, 6-1. Juan Martin del Potro beat James Blake 6-4, 7-6 to reach the quarterfinals of the Farmers Classic. Delpotro and Blake traded the final eight games of the set, leading to the decisive tiebreak. The Argentine took control from there and won when Blake was unable to return his serve. In the next round Del Potro will face Ernests Gulbis, who defeated Daniel Kosakowski 6-2, 6-4. This is Gulbis’ third tournament under the tutelage of coach Guillermo Canas. The two began working together at Wimbledon and the relationship appears to be paying dividends. James Blake scored a 5-7, 7-6, 6-2 victory over Ernests Gulbis to advance to the second round of the Atlanta Tennis Championships. The American knew what to expect coming back from a a 1-hour, 18-minute rain delay. Blake will next play John Isner. Somdev Devvarman defeated Ryan Sweeting 6-4, 3-6, 6-4 to earn a second-round match against Tatsuma Ito, a 7-6, 6-4 winner over Michael Berrer. Gilles Muller beat Alex Bogomolov Jr., 6-3, 7-6 (6). Michael Russell beat Donald Young and set up a second round clash with Kevin Anderson. Isner isn’t exactly looking forward to facing Blake. 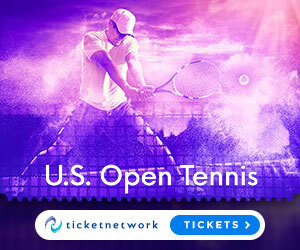 Isner is looking forward to playing the crowd favorite for the second straight year even though the event has moved seven miles south from the swank Atlanta Athletic Club. For Blake, the key to beating Gulbis timing his opponent’s serve. Novak Djokovic defeated Ernests Gulbis 6-0 6-1 in the third round of the BNP Paribas Open at Indian Wells. Next for the Serb is compatriot Viktor Troicki, who beat Michael Llodra 6-3 6-3. Djokvic broke Gulbis three times to win the opening set in 26 minutes. Then he broke twice in the second to advanced in just under an hour. Nole was in imperious form against Gulbis. 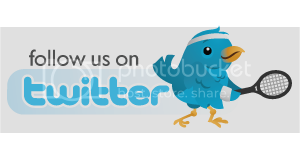 He hit his groundstrokes crisply from behind the baseline and never gave his opponent any chance to get into the match. Gulbis was able to get on the board in the second set but he was already down 3-0. Djokovic broke Gulbis in the seventh game before serving out to seal the win. Rafael Nadal defeated Ernests Gulbis 7-6 6-3 to reach the Qatar ExxonMobil Open semi-finals. Nadal saved five of six break point, hit four aces, won 74% of service points and committed 11 unforced errors to Gulbis’ 31 errors. The world number 1 broke serve for 3-1 in the opening set but then Gulbiswas able to level at 4-4. Serving at 0/40, Nadal fought back to deuce to lead 5-4 lead. In the tie-break, Nadal opened up a 4-1 lead and took the set with a forehand winner. The Spaniard broke serve in the fifth game of the second set when Gulbis hit a forehand long. The top seed maintained the advantage to win in one hour and 52 minutes.